Mitch Kashmar delves deeply into the sound of West Coast blues with his latest release West Coast Toast — and it’s something that he should be quite familiar with as he has been a longtime mainstay on that scene from his early days with The Pontiax to his current position atop the blues community in Portland, Oregon. For this disc, however, he returns to Southern California and is joined by an all-star cast of familiar names and lays down some of the most dynamic harmonica to be heard from anyone, anywhere. This is Kashmar’s fifth discs on the Delta Groove label, including a live album and re-release of an album from The Pontiax. 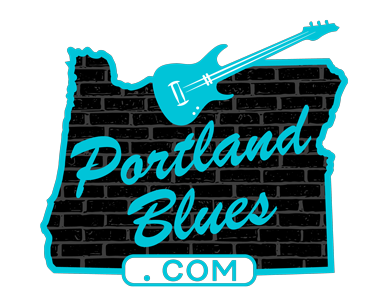 The album opens with a burnin’ instrumental track, ”East Of 82nd Street,” a reference to the section of Southeast Portland where he now lives. It sets the pace for the following selections on this outstanding recording and is the first of four brilliant instrumentals offered (“Mood Indica,” “Makin’ Bacon,” and “Canoodlin’” are the others). Those harmonica-fueld numbers, as well as the entire recording, showcases the Chicago sound that developed into the West Coast sound and is a tribute to the master who helped create it on the Mississippi saxophone, George “Harmonica” Smith. Smith was a huge influence on just about every harp player out west, including the likes of the late William Clarke, Rod Piazza, Kim Wilson, and of course, Mitch Kashmar. Kashmar takes on a social stance as he questions just how much money are we going to use in “The Petroleum Blues. And he gives another nod to his adopted home of Portland in “My Lil’ Stumptown Shack,” letting all of his Southern Californian pals know that he ain’t never coming back. What you have with West Coast Toast is a keeper of a recording that you’re going to want to place next to all your favorites. It’ll grow consistently on you with each listen and you’ll easily feel it belongs among the best go-to discs in your collection. 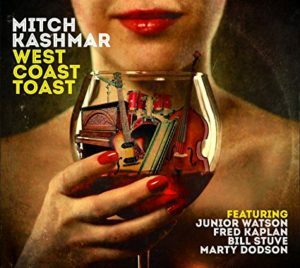 Hands down, Mitch Kashmar has created a remarkable album that is sure to stand the test of time.